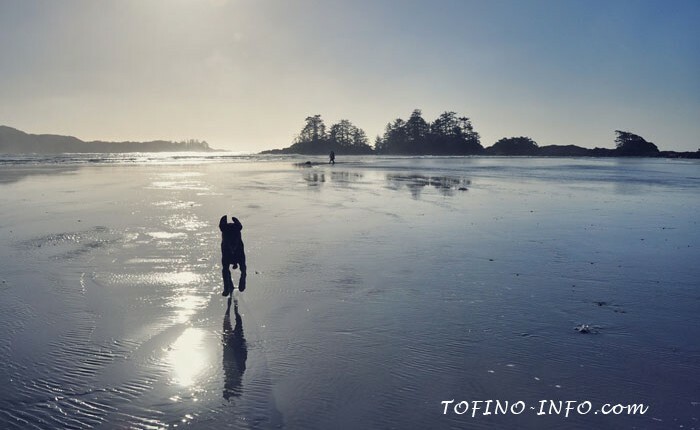 Named after an early settler to the area Chesterman Beach is known as Tofino’s favorite beach and is one of the sites that anchors life in Tofino. 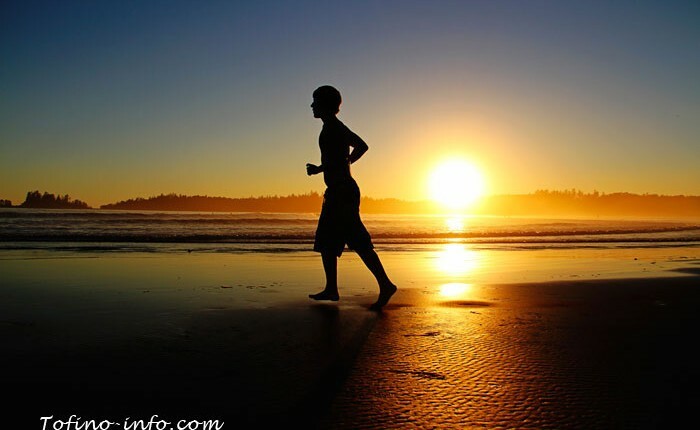 It is the place to walk with friends, family and pets, where many head out to surf and in the evening it is where many enjoy watching the sunset. Chesterman Beach is perhaps the most lively beach on the Island with activities varying from surfing to bocci ball, skim boarding to kite flying. The South end is an attraction for most families with tidepools and sea caves accessible at low tide (be sure to check a tide table before venturing to the pools or caves). The north end of Chesterman Beach offers rocky islands as well as soft and hard sand and boasts of its prestigious lighthouse. It is also ranked in one of the top 10 places in North America to learn surfing and offers great surf for pros and amateurs alike. The beach can be accessed on foot or bicycle through the walk/bike path or by vehicle at the north end. There is also a great variety of wildlife found on the beach all year long from shorebirds to whales, osprey to otters making it a great destination for naturalists. With all its beauty, activities and wildlife it is no wonder that Chesterman Beach is known as Tofino’s favourite beach. Located in the Pacific Rim National Park Reserve is the longest beach on the west coast of Vancouver Island, Long Beach. This lively beach is 10 km long with both hard and soft sand and is popular to many as it has so much to offer. Runners and walkers enjoy the hard sand as well as bocce-ball players while sun-bathers, kite-flyers and children alike enjoy the soft sand. Adventurers often turn up at low tide to explore some of the hidden islands off the coast which are only accessible at low tide and they also come out during storms to watch some immensely powerful gales and waves crash upon the shore. It is a popular beach among surfers and was one of the first beaches ever surfed in British Columbia. With its wonderful panoramic view of the ocean and sky, it is a favorite beach among many couples who want to enjoy a romantic, scenic stroll down the shore and perhaps even catch a glimpse of a whale. Long Beach is a favourite to many as it has so much to offer in one location from surfing to sightseeing. 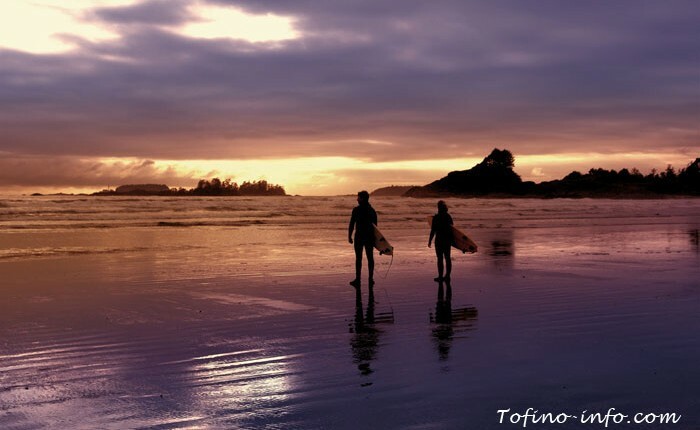 Located between the Pacific Rim National Park and Rosie Bay, Cox Bay or Tofino’s, “Surf Beach” is one of the area’s most popular beaches for surfers and families alike. Cox Bay is about 1.5 km in length and its shape and direction facing out to the West amplifies most directions of swell to make it the most consistent beach break in the area and likely the most popular surf destination in all of Canada. Cox Bay has been home to many surf competitions over the years including the O’Neill Cold Water Classic. Originally named False Bay, it was renamed Cox Bay after the British merchant fur trader John Henry Cox. Cox organized some of the earliest expeditions to the pacific northwest. The family draw to the beach is largely due to the Pacific Sands built in 1973 as a family holiday retreat. Also captivating for families are the giant drift logs to play on and white sands decorated with radiant sand dollars to observe. Due to the large swells, it is also a popular beach for storm watching in the colder months. Cox Bay is appealing to many as it is a less crowded beach during the warmer months making it preferable to many of the other beaches in the area. 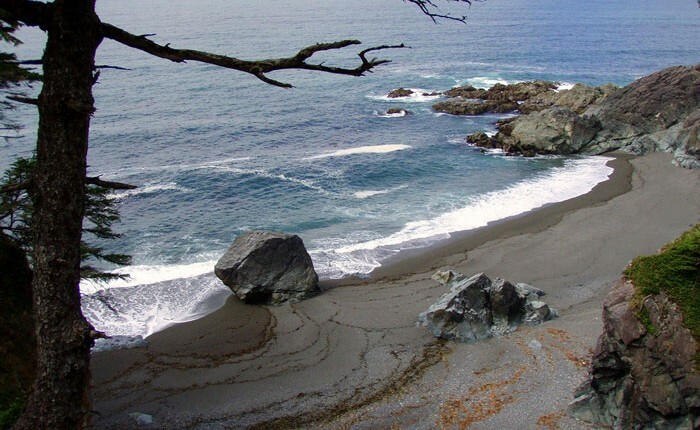 Access can be gained to Cox Bay via a wonderful 15 minute walk through forest from a resort parking lot located just north of the Pacific Rim Park. 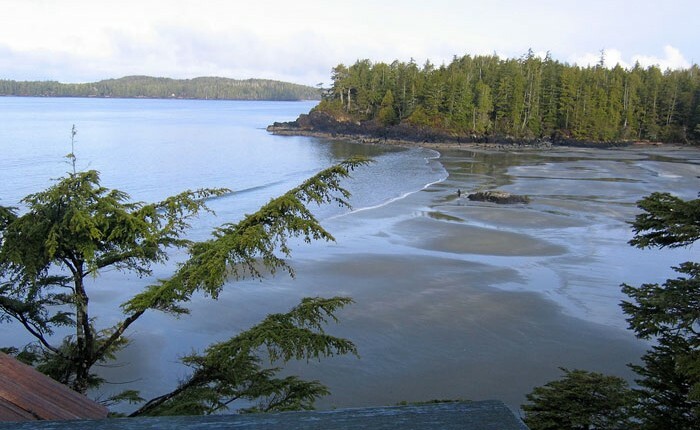 This beach on Wickaninnish Bay marks the southern end of Long Beach within the Pacific Rim National Park. It is located just above the 49th parallel between Portland Point and Quisitis Point and used to be known as Long Bay. The beach is named after Chief Wickaninnish who ruled with great power over the Clayoquot Sound in the 1700’s. The authentic rugged west coast feel of this particular beach has made it a favorite getaway for more than a couple Hollywood stars. Because of its location at the southern end of the 16 km stretch of Long Beach this beach collects flotsam, jetsam and driftwood unlike any other on the Island and is therefore known to be the favorite beach amongst beach explorers in the area. The Wickaninnish Beach is located within the Pacific Rim National Park and is also home to the area’s best gathering of dunes which serve as a giant playground for the young and old alike. These dunes and various forms of wildlife are located on the north side of the beach. The 5 km stellar shores of Florencia Bay host massive logs of driftwood and inviting ocean waves. 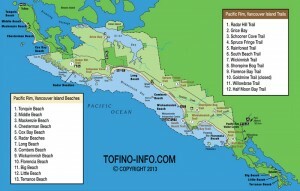 Florencia Bay is located between Half Moon Bay and Long Beach. The shore of Florencia Bay is surrounded by steep cliffs and offers a variety of different exposures due to the Bay’s unique shape making it one of the most spectacular and unique beaches in the area. This beach was originally named, “Wreck Bay” due to the capsizing of a 200-tonne brigantine named, Florencia off the shore of Vancouver Island back in 1860. The ship was deemed repairable and was being towed back to Victoria when the ship towing the Florencia experienced engine trouble and had to cast off the Florencia. A storm blew in and wrecked the Florencia onto this dynamic Bay. This is one of the islands more secluded, quieter beaches due to the surrounding forest, jagged cliffs and steep shoreline and for this very reason, it is a favorite amongst couples looking for a romantic getaway. It is also a great location to head out on your boogie board or kayak. This beach is known for its wildlife so be cautious of bears, wolves, cougars and don’t be surprised if you come face to face with a sea lion while paddling out to catch a wave. The beach is accessible by staircases located at the northern and southern ends of the Bay. Willowbrae gives way of access to the southern end while Wick Rd. provides access on the northern end. 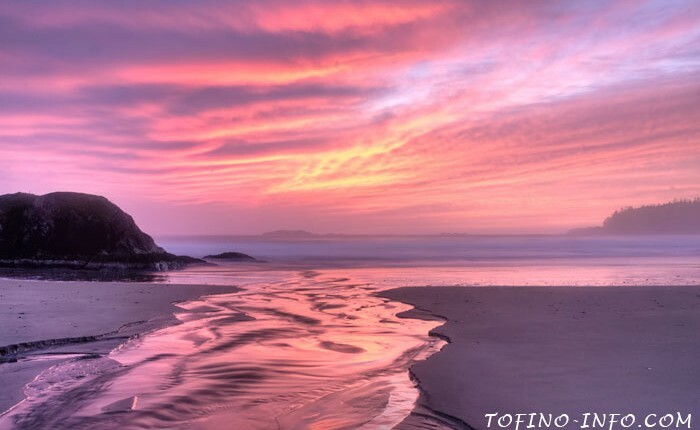 The quarter kilometer long Tonquin Beach (named after an early 18th century fur trading ship) is often referred to as Tofino’s town beach because it is located within walking distance of downtown Tofino. To gain beach access, follow First Street until it ends then turn right onto Arnet Road and then follow Tonquin Beach Road as it shifts to the left. 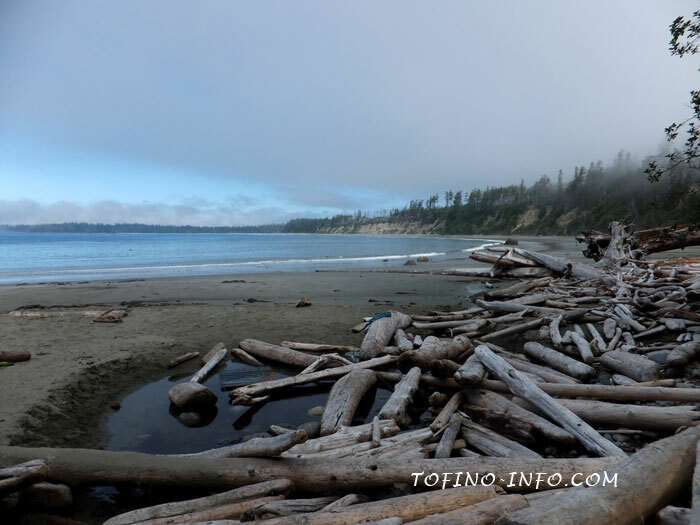 You will see a parking lot at the end of Tonquin Beach Road where the beginning of the 1km Rainforest Trail begins and leads you to the beach. The trail is a combination of dirt path and boardwalk that leads through lush rainforest, a ravine over a creek and then to the beach. The beach has borders at either end made of steep rock and its location on the western side makes it a popular spot in the summer for an afternoon tan or glimpse at a stunning sunset. The beach’s location at the end of the peninsula also makes it an ideal location for casting salmon. Coho are commonly caught and cooked right there on an open fire. Fish are not the only wildlife found here as otters and even the occasional orca or grey whale can be spotted swimming by. Although not the best beach for surfing, it is a prime location for many. Middle Beach is a very small, private beach that can only be accessed from a trail beside the lodge located there. With its sandy shores protected from storms and high winds from the few rock outcroppings that surround it, the Mackenzie Beach is a popular family beach. The water is calmer here than most of the other beaches on the Island and is a great place to launch out in your kayak. Despite being known as a family beach it carries a relaxing secluded atmosphere which makes it great for camping. The beach is known for fun activities such as frisbee, bocce ball, beachcombing and swimming and in the winter, storm watching. A beautiful 10 minute walk through the rainforest stirs the heart for a day of relaxation, light fun or exploring at Combers Beach. There are rocky outcroppings with great opportunities to explore tidepools during low tide This is also a great place to be on the lookout for sea lions as some of their favorite rocks to rest upon are located on this peaceful beach. Schooner Cove offers a set of numerous secluded beaches which are very popular in the summertime because of their shelter from the wind and engrossing white sand. They are great beaches to explore as well offering vast wildlife and forest terrain. At the northern side of Schooner Cove is the rocky headland Portland Point which offers a great location for surf casting and whale watching. Take caution as getting to the point can be a little tricky. This beach in its seclusion offers peace and tranquility for many and is known as being one of the Island’s more romantic beaches although all are welcome. Located on the West side of Vancouver Island, Kennedy Lake is a popular destination for many as it provides lake and beach-based recreational activities. Kennedy Lake is the largest body of fresh water on Vancouver Island and is surrounded by steep mountains on the north eastern side and low lying land on the west side. The park surrounding it is 258 hectares and offers a small picnic area as well as a boat launch. Kennedy Lake is a nice place to go if the fog is keeping the sun away and you really want to relax in the sun. The park is open year round for day use only so camping is not permitted. 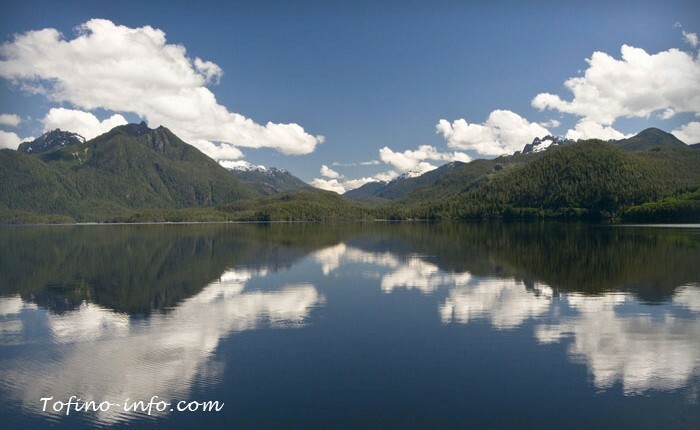 Kennedy Lake is a popular spot for swimming, fishing, windsurfing, kayaking, boating and in the Fall is also a popular location to spot Black bears as well as spawning sockeye. Pets are allowed but must be on a leash at all times. You pass Kennedy Lake on the way to Tofino and Ucluelet and there are a few spots to pull in, though none of them are marked. If you are driving out of town east towards Port Alberni, you will go about 10-15 minutes before arriving at the lake. If you can see it on your left, you have gone past the entrance for the boat launch and the area where you can sun bathe. Kennedy Lake is a beautiful place to unwind and relax. It will often be 10 degrees (Celsius) warmer than the west coast if there is any low lying cloud or fog making it well worth the trip. 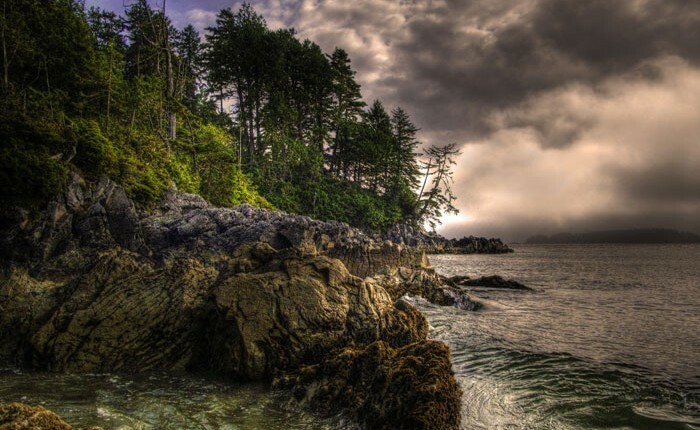 Grice Bay is a small, rocky beach located on the Eastern side of Vancouver Island across from Meares Island. Due to its close proximity to many popular marine destinations, Grice Bay is a well known launching point for kayaking, boating, hiking and wildlife tours. The parking lot is well suited for boat trailers as most activities at Grice Bay are boat related. There is a small, raised, grassy knoll which provides not only a great view of one of the most scenic seascapes on the island, but also a view to many Bald Eagles and Great Blue Herons that are known to frequently pass by. The site also has a picnic table as well as access to a breath taking view if you have your binoculars handy. 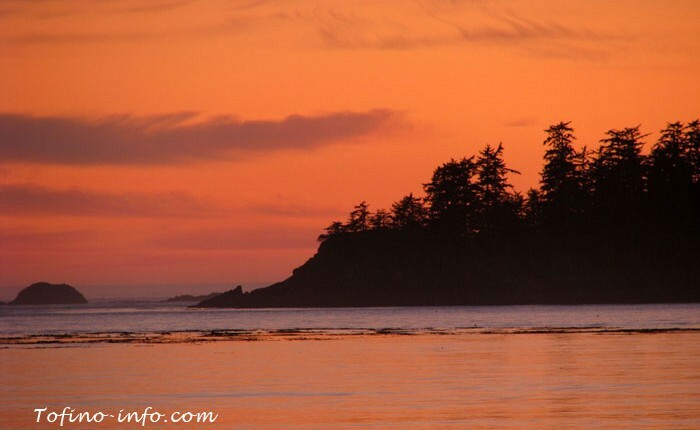 Grice Bay provides access to Meares Island, the Tofino Inlet, Cannery Bay, the Tranquil Inlet, the Kennedy River, Mosquito Harbour, the Fortune Channel and the Dawley Passage Provincial Park. Most of these journeys offer some of the best kayaking with gorgeous ocean and forest views coupled with opportunities to see amazing wildlife. The Clayoquot Sound is also accessible from Grice Bay which offers a greater challenge by kayak but the view through the Browning Passage far outweighs the effort it takes to get there for many. More info on Grice Bay! 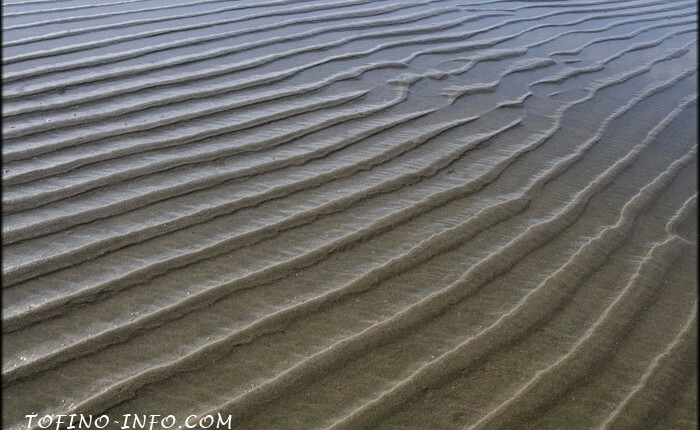 There are many beaches between Ucluelet and Tofino. For a map including most the beaches and trails. Below is a list of beaches and pictures to help you choose where you would like to go. Long Beach and Chesterman are the largest beaches, however, the smaller beaches are well worth visiting as well and often have just a few people enjoying them.